Hike on Friday announced that it is introducing free group calling ability to its mobile messenger app. The feature would allow up to 100 people to talk to each other in a group call. It is available for free on the Hike Messenger Android app, which you can download from Google Play. While group audio calling isn’t an exclusive feature, is not available on most instant messengers, including and especially WhatsApp, the mammoth in the category which announced earlier this month that it has 900 million monthly active users. Line had recently launched a group calling app called Popcorn Buzz, letting users speak over 200 people at a time. Hike said that members in a group could initiate the audio calling to every member, and the other members can join. The company is targeting students and families. The feature, however, will require the participants to be on either 4G cellular network or a fast Wi-Fi network, the company said. Free group audio calling feature will arrive on Hike Messenger iPhone and Windows Phone clients later this year. As the markets for instant messenger clients heats up, concerned players are aggressively adding new features and refinements to their app to make it more competitive. 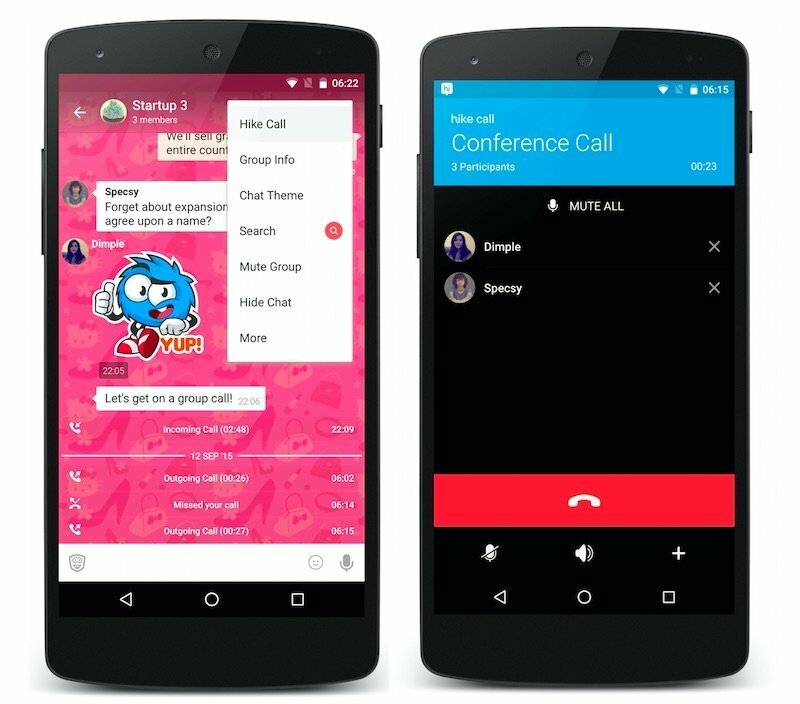 Earlier this year, many apps including Hike Messenger and WhatsApp, for instance, added the ability to make free audio calls using the Internet data. Hike last month rolled out version 4.0 of its apps, which brought chat search, new themes, and more. With over 35 million users as of last year, Hike Messenger is one of the most popular instant messaging clients in India. It has added a number of features, including the ability to search chat messages and new themes.